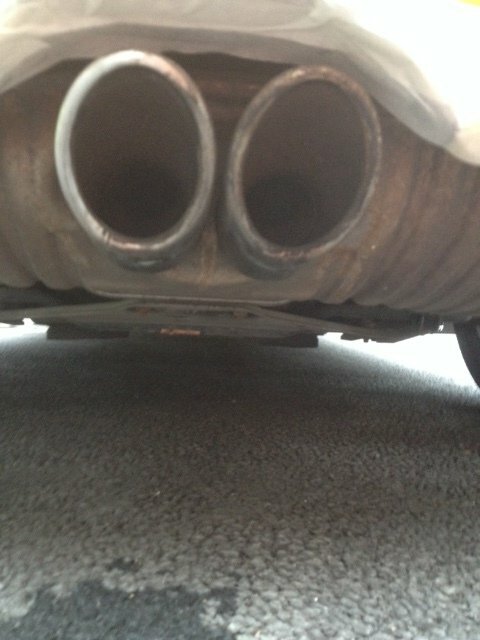 You've probably read my threads on the release catches and roof side bars now it was the exhaust tips turn. They have been in this burnt state since iv have the car (13 months) and I honestly thought the were goosed. My plan was to smooth them off and spray them gloss black but to my surprise they came up like new. Last edited by YellowS2000; 07-16-2017 at 11:23 PM. to get the burn marks to start coming off. I went 320 grit, 1200 wet, 1500 wet, 2000 wet, then some farecla G3 then some 3M finesse it, then some autoglm detailer. took about and 90 mins. next job repaint and re-decal the callipers and paint the brake disk hats and edges. 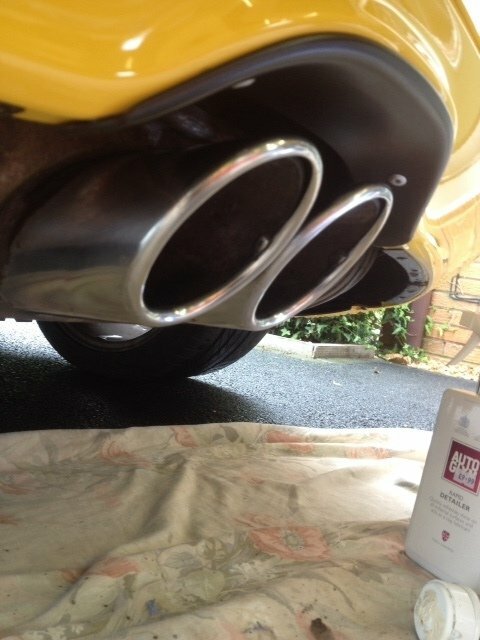 Get a decent metal polish to keep them looking good. No worries. Now you've got them looking good it only takes a couple of minutes every now and then to keep them that way.